The Dutch style of decoration inspired by Chinese ceramics, developed in the towns of Delft and Makkum, is our starting point, not something we slavishly copy. So you won’t find our designs anywhere else. 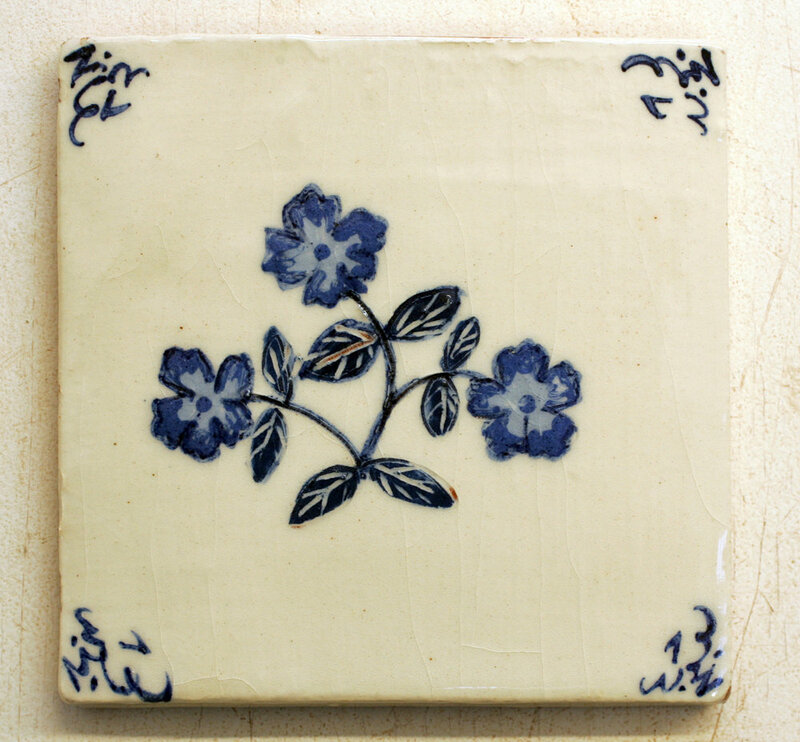 Delft style medieval flowers, design by Monica using a subtle range of blues. Six designs on cream or ivory background. 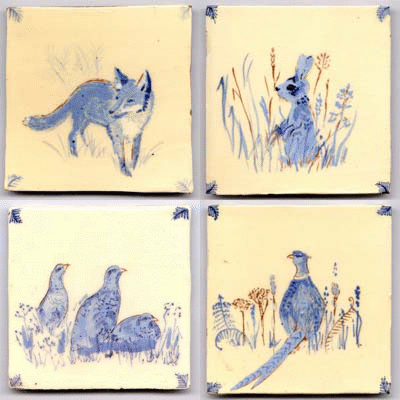 These and the British wildlife tiles shown below, have our ”Pops squiggle” corners, another design unique to Chantecler. A range of sailing barges , early Delft designs adapted by Monica, with our “tulip” Delft style corners. “Pops” was the nick-name given to the Flanders town of Poperinge in World War I, by the many allied soldiers who enjoyed there a brief respite from the trenches. Much later, Ann saw an old delft tile with an unusual corner design in an antique shop window in Poperinge, and noted it in her sketch book. 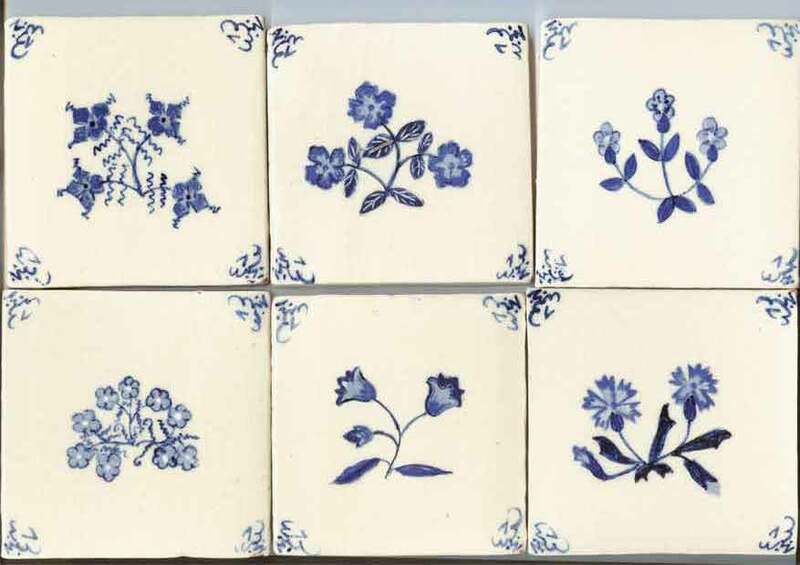 Our Delft corner tiles are now one of our most popular designs.